Panel discussion “Future of Economics” was held within the framework of Krynica Economic Forum. Important issues related to the topic were discussed by the Dean at the Free University of Tbilisi, Professor Alexander Rakviashvili. Commissioner at Georgian National Energy and Water Supply Regulatory – Maya Melikidze; Head of the Proactive Group Georgia – George Agirbaia. ; CEO at Palatine Analytics and GenesisAI. 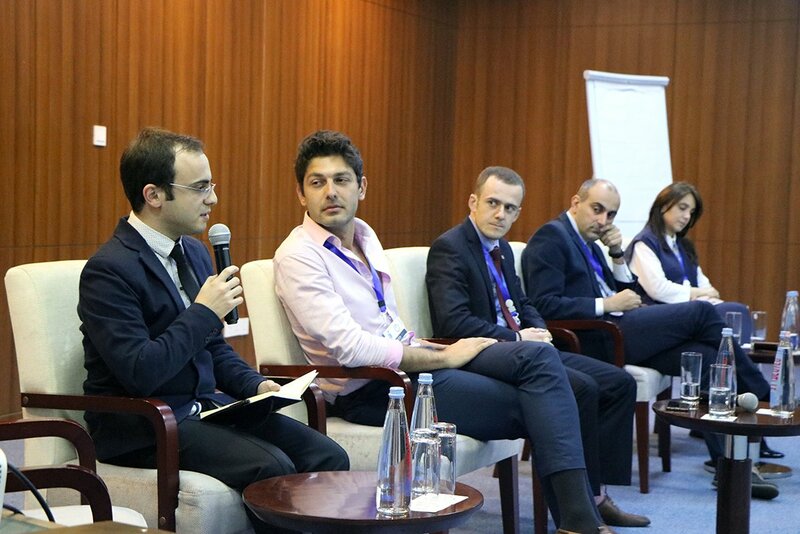 The session was moderated by the member of the executive board of Europe-Georgia Institute Irakli Korkia. Presidents of Georgia, Poland, Slovakia and Prime Minister of Georgia gave opening speeches at “Krynica Economic Forum”. The aim of Krynica Economic Forum was to create an additional platform for European countries and their partners and support their further relations. During the forum multiple panel discussions took place. Among them were Future of Europe, Future of Economics, Lessons of the Democratic Republic of Georgia. The event was held with the support of Georgian Chamber of Commerce and Industry and Presidential Administration of Georgia.